and it was so comprehensive that I had to give it a shout out. Combing a site that size for the best of the best, not to mention making a list that long, is never an easy process and GisMullr did a great job. 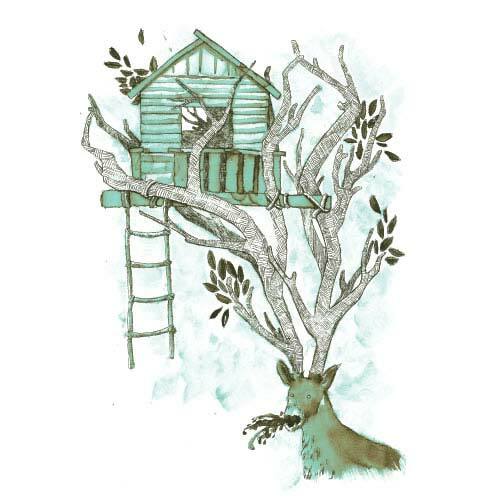 is a Brazilian site similar to Threadless that features user submitted designs. 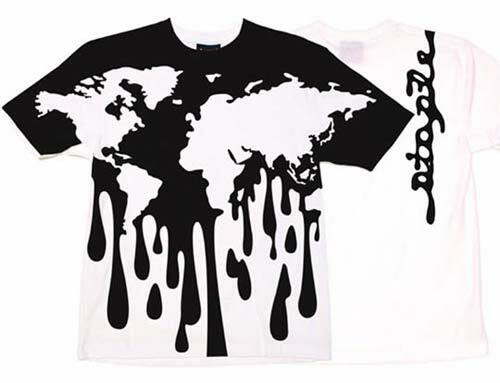 Like all great design, many of these shirts transcend language and cultural boundaries and can be appreciated by everyone. Here are my personal favorites which don’t require any knowledge of Portuguese…only a good sense of humor. This one was really funny to see online because I didn’t get the joke until I had scrolled down low enough to see the deer. It’s definitely a winner and the details make it really shine. This shirt is another one that’s pretty easy to enjoy purely for its sarcasm. I love the idea of a group of giant roosters standing around watching a couple of guys boxing. Regardless of any social message, it’s just funny.
. 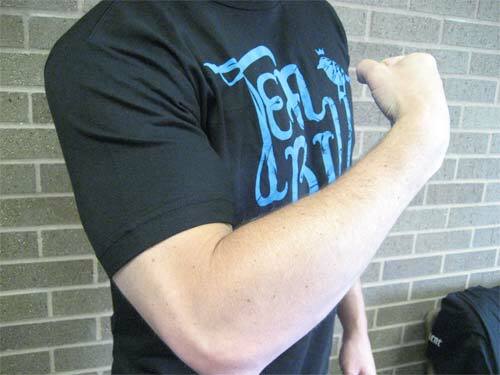 The shirts were pretty fly and gave the T Addict his fix so I decided to show them some love and tell you about it. 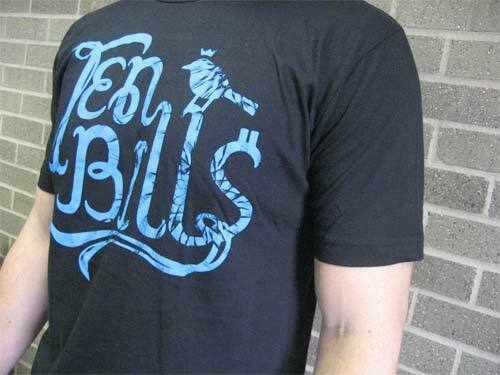 For those who don’t know anything about Ten Bills, their basic marketing strategy is to create fresh, original t-shirts and then sell them for only $10. They release a new shirt each week and they have quite a few hits. It’s a pretty cool idea since you can often find some real winners here and stock up without breaking the budget. Here’s one of the shirts they sent me called Currency Logo with their name screen printed on it. Many times companies miss the point and waste the opportunity to get sick with it when doing logo’ed shirts. 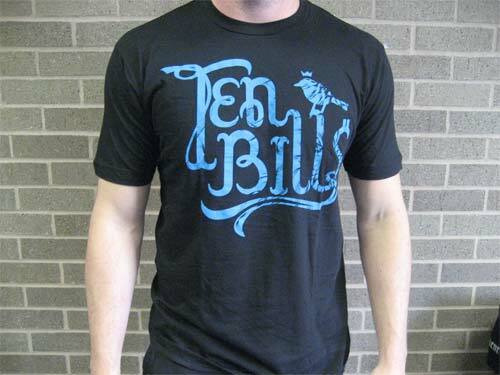 Ten Bills did not miss the boat on this concept. They created a very clean design featuring their logo with a mix of color and fabric working together. 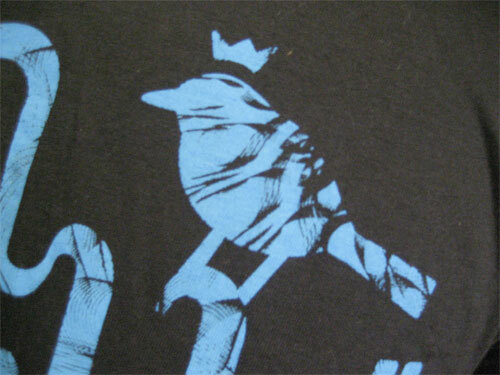 It’s a pretty cool printing style and I really like the detail present on the bird. 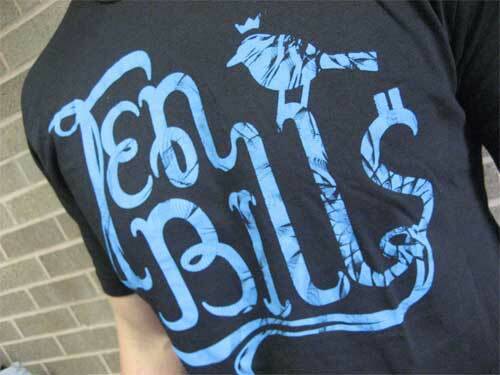 All in all this design is one of the more interesting branding shirts I’ve come across and it’s a good strategy to get people asking about what Ten Bills is. Part 2 is coming soon and we’ll show another print they sent me where it gives me the chance to cover the quality of the tees and the print. You don’t want to miss that do you? I didn’t think so. before is still one of my faves and I get compliments every time I wear it. 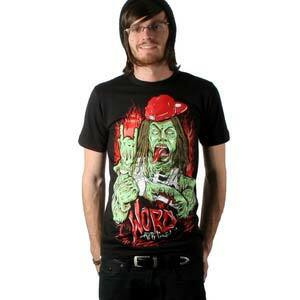 Well that shirt has nothing on their latest release. for posting about this one first. Being second to Coty is still a win in my book. The T Addict has been known to harp on the importance of making your product shots look as cool as your brand. Yes, it takes a lot of extra work, but the payout in return is well worth the effort. It just adds an extra level of polish to the overall theme of your brand. amazed me. Obviously, a lot of time was put into the cut-and-paste style of design on their model images. It worked beautifully because it drew me in to look more at the t-shirts. The logic is simple… if you have the skill to make your product shots look top-notch, then it goes without saying that the products will be top notch as well. It just shows that good taste and artistic skill, coupled with attention to detail, can be the difference maker in the appearance of your line. The last adjective that comes to mind when looking at these images is “amateur”. The line’s punk style and attitude couldn’t be represented better any other way than by these product shots. It’s time for me to quit yapping and time for you to go to Riot Tuxedo to see what I’m talking about. You know the saying…”if the gloves don’t fit, you must acquit.” And for those of you who didn’t see the video of O.J. 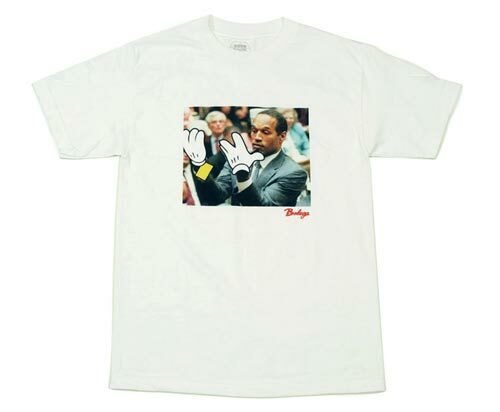 Simpson trying on the gloves in the courtroom, Bodega has immortalized the imagery by printing it on a t-shirt. The amount of detail in the design is amazing with the use of shading and color gradients to catch the lighting. You can practically see the bling pop off his grill. Although I’ve never seen a zombie in real life, this has to be what it would look like. Especially if that zombie had one of the best-selling albums of 2008. 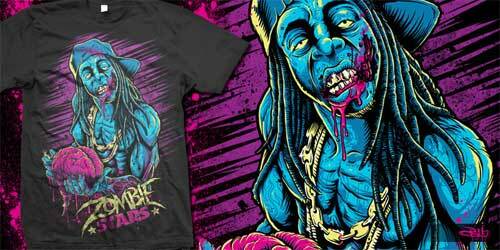 Apparently the plan behind Zombie Stars is to release a new undead celebrity tee each month. I’m looking forward to see what is next. Hell of a job on the first one!
. One is cool because of the technicality of the all over print and the way it works so well with the shirt. It appears as if the Earth is melting. A statement on global warming perhaps? Either way, a cool theme and even better execution. 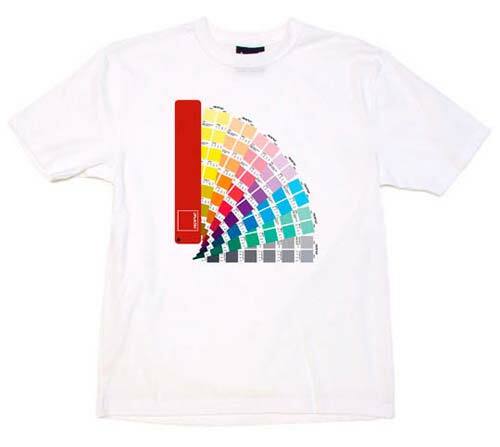 The other shirt is one that every screen printer and designer should get a kick out of. Someone finally went ahead and printed the PMS book on a shirt.
. Not only is the artwork pretty sick but it features what it looks like to go from “a Goon to a Goblin”. It you feel what I typed in the quotes, then you feel Lil’ Wayne.
. 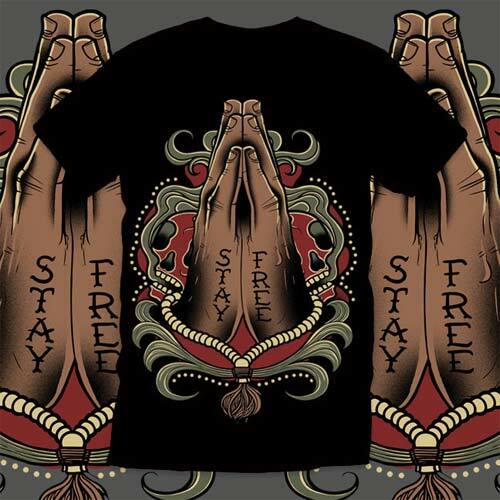 I checked out the site and thought the designs were pretty cool and I really liked the attention to detail on the shirts. 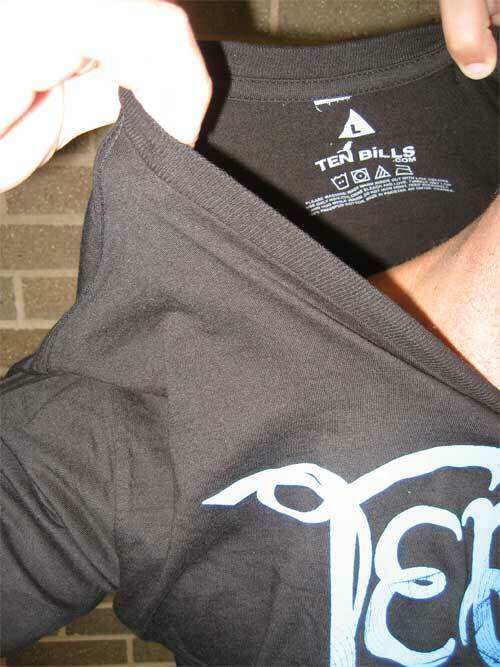 The custom tag is screen printed in the shirt, there is an embroidered label on the bottom of the shirts and the prints are fairly technical. By technical, I am referring to the oversized printing and the use of soft inks. 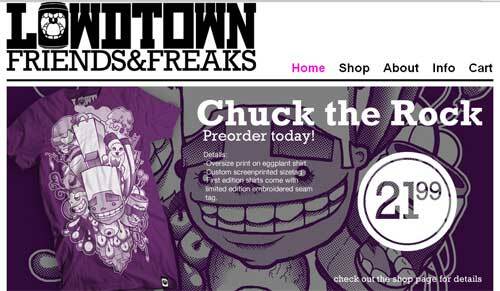 The site grades out pretty well in keeping with the overall theme of the shirts and Lowdtown could get some traction. The only problem I have is the presale option. Are the shirts currently being printed and just not ready? Or worse, are they being presold to fund the printing and check interest? Ray, feel free to weigh in on this in the comments section. If they are currently being printed, when will they be available? 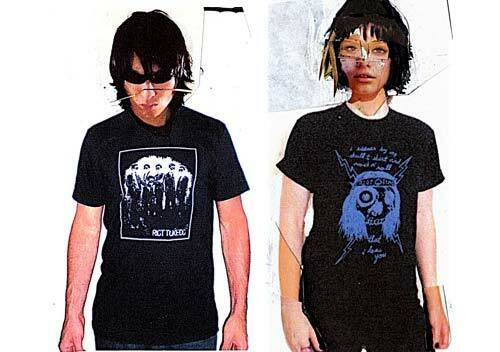 Ray responded in the comments stating that the presale is for a limited run of the sewn-on labels at the bottom of the shirts. No pre-purchase, no label.